Four names were released by the Diocese of Beaumont in 2010, but other than those, no others have recently been identified, according to Bishop Curtis Guillory. BEAUMONT — In a stunning decision, the Diocese of Beaumont announced Wednesday it will release the names of all clergy "credibly accused" of sexually abusing a minor, dating back to at least 1966. At a recent meeting in Austin, bishops agreed to jointly release the names from 15 Catholic dioceses in Texas, "as part of ongoing work to protect children from sexual abuse and promote healing and a restoration of trust in the Church." Four names were released by the Diocese of Beaumont in 2010 but other than those no others have recently been identified according to Bishop Curtis Guillory of the Beaumont diocese who is currently out of the country. He said four names were released by the diocese in 2010. 12news tried to find all four names but only found two. In 2013 the Diocese of Beaumont settled a 2012 lawsuit brought by six boys against the diocese for over allegations that the diocese kept the Rev. Ronald Bollich on staff when "knew or should have known he had a propensity to molest boys" according to a 2013 article in The Beaumont Enterprise. In 2010 the Diocese of Beaumont released a statement on Father Frank Paduch who had previously been accused of abuse in Chicago and the 1980's and was then accused in Southeast Texas in 2001. The 2001 complaint eventually led to his removal from the Diocese of Beaumont the statement said. The diocese is in currently in the process of going through its records to determine if there are any additional priests who may have been accused but not yet identified he told 12News. "If there is someone out there who has been abused, we ask him or her to come forward," Guillory told 12News. Another press release said from 1966-2002 the Diocese received allegations about five priests and one seminarian. “Earlier this summer I joined the Holy Father and Cardinal DiNardo, president of the United States Conference of Catholic Bishops, in expressing my deep sadness for the severe damage that has been imposed on the lives of so many by this sinful and criminal abuse. I am also saddened by the violations of trust that have happened in so many other places,” said Bishop Guillory in a written statement. “On December 12, 2003, I addressed a major statistical study by the John Jay College of Criminal Justice of all dioceses in the U.S. regarding sexual abuse of minors by clergy. The statistics we reported at that time covered the time period from the diocese’s establishment in 1966 until 2002. Please remember, as I have said many times before, we have zero tolerance in our diocese. We investigate all allegations, Guillory said in the statement. “And now, continuing in the spirit of complete openness and before the end of January, our diocese will release the names of all clergy who had a credible allegation brought against them since our establishment as a diocese on September 29, 1966,” Guillory said in the statement. Other dioceses that were established earlier than Beaumont diocese will be going back as far as 1950 according to the statement. Prior to the establishment of the Diocese of Beaumont in 1966, parishes in Southeast Texas were part of the Diocese of Galveston-Houston. With 8.5 million Catholics and 1,320 Catholic parishes in Texas, the endeavor to compile a comprehensive list of clergy who have been credibly accused of sexually abusing a minor represents a major project. All dioceses will publish their lists by Jan. 31, 2019. “It will take some time for files to be reviewed, and there may be people who come forward with new information following this announcement. My brother bishops in Texas and I agree that transparency in this painful matter of sexual abuse can assist with healing for survivors and transformation for our Church,” explained Archbishop Gustavo García-Siller, MSpS, of San Antonio. .
Each bishop will be releasing his own statement and list. Since the 2002 Dallas Charter for the Protection of Children and Young People was adopted by U.S. bishops, Archbishop García-Siller said “the story has changed.” He noted the drastic decrease in cases of abuse due to zero tolerance. In San Antonio, and across the Church, he said he saw a clear improvement in the atmosphere at parishes and schools, with an increased awareness, attention and support for measures from laity and clergy to create safer and healthier communities. The 15 dioceses participating in this project of disclosure are Galveston-Houston, San Antonio, Austin, Amarillo, Beaumont, Brownsville, Corpus Christi, Dallas, El Paso, Fort Worth, Laredo, Lubbock, San Angelo, Tyler and Victoria. Today’s statement from the bishops of Texas is included in separate attachment. Archdiocese of Galveston-Houston serves 1.7 million Catholics in 10 counties. 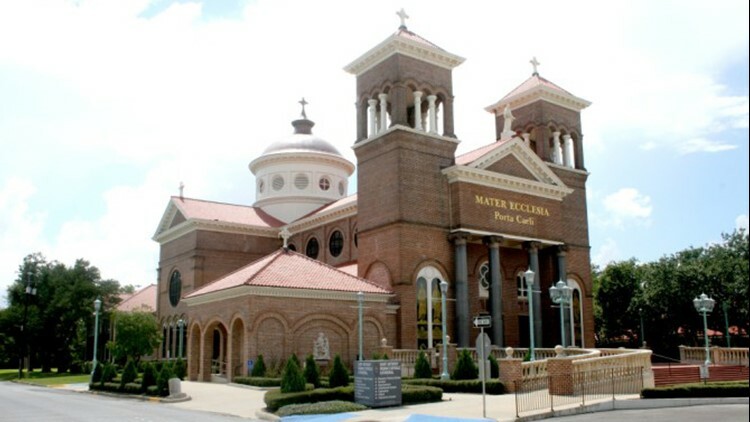 It is the largest Roman Catholic diocese in Texas and the 5th largest in the United States.